A first for the UK hand-cooked crisp market, our lovely client Corkers have sourced the finest olive oil to craft a lighter tasting crisp, while still maintaining the classic Corkers crunch. These crisps will attract discerning customers who really love their food and health and who always seek the new and exciting – the perfect snack for the Ocado customer! Always looking for exciting innovations in snacking, the Corkers team spotted a gap in the market for a new premium offering. Partnering with the most decorated olive oil producer in Southern Spain, Muleolivia – who were crowned the World’s Best Olive Oil four years in a row. Like Corkers, Muleolivia take their ingredients seriously, using only the best green olives from their 3,000 groves in Andalucia. Cold pressed within fifteen hours of harvesting, the genuine aroma of the olives is preserved. With such attention to detail, Muleolivia’s olive oil is the perfect pairing for Corkers’ distinctive Naturalo potatoes, devised specifically for the peat-rich fenland soil of the Corkers’ Cambridgeshire family business. Crafted from potato to packet on Corkers’ Willow Farm, the family also grow all the root vegetables for their vegetable crisps there – ensuring all their ingredients receive the same loving Corkers care. 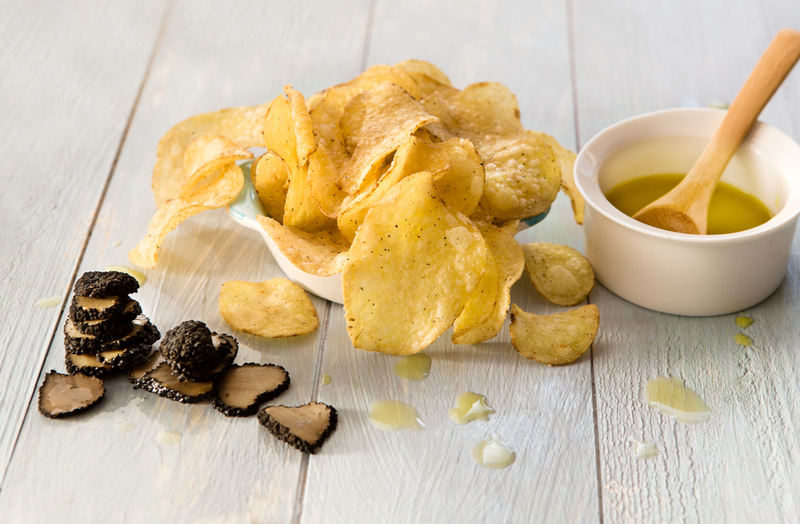 These light, crunchy crisps come in a selection of seven distinctive flavours – inspired by the Spanish countryside surrounding Muleolivia’s olive groves. Available on Ocado (www.ocado.com) with an RRP of £1.99.